The First Minister will visit the US and Canada next week to strengthen trade links with Scotland. 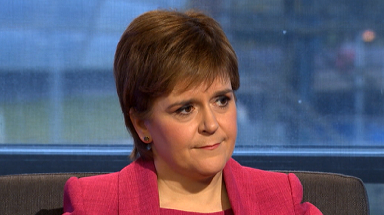 Nicola Sturgeon will visit the US and Canada next week to strengthen trade links with Scotland. The visit comes as new figures show the US remains Scotland's top export country, with an estimated £5.5bn of exports in 2017. Canada continues to be a top 20 export destination and was worth £580m in 2017. The First Minister said: "Scotland has a long-standing relationship with North America across family, friendship, culture and business. "The latest figures released just this week show how important our trade relationship with North America is for our economy. "This visit will build on the existing links between our countries and provide new opportunities for us to work together and learn from each other's expertise in areas including climate change, renewables and gender equality. "With the shadow of Brexit hanging over our economy, it is more important now than ever to reassure businesses that Scotland is an open and welcoming country and an attractive place to invest in, visit and live." Sturgeon will have trade and culture engagements in Washington DC, New York, New Jersey, Ottawa and Toronto during the five-day visit. These include an address at Georgetown University to discuss Brexit and Scotland's future, and the launch of the Scotland is Now campaign in Canada.